Let us help you choose the Best Car Seat today! We have provided all the information you need in one convenient place so you can choose the best car seat for your child. Reviews on this site are based on the opinions of experts in the field of road safety, product specs from manufacturers, laboratory tests (crash-tests), and feedback from customers. What kind of car seat should I choose? Of all the things you buy for your child, a car seat is one of the most important. You will need a seat from the moment you bring your baby home until he or she can do without one. Infant seats protect your growing baby’s neck and head while providing full body support. They are always rear-facing and usually have a removable carrier for use with a stroller or to simply carry the baby with you. Infant safety seats are not all created equally, so you’ll have to find the highest quality seat you can afford and any accessories you may need to keep your child safe and comfortable. Infant car seat reviews show the most important aspects of each product so you can easily compare them with similar products on the market. We only list the best selling seats, so this is a great place to start shopping. Today’s best infant seats are those designed to work in most vehicles and that fully support your baby from birth until they’re ready for a front-facing seat. They are accessible, comfortable, and convenient to move from place to place without too much strain. These seats are designed to work from birth until they no longer need a child restraint. They’ll start as a rear-facing infant seat which can be converted into a front-facing seat and then a booster seat. Some will convert into a backless booster seat, while others will not. When used as an infant seat, they don’t usually work as a portable baby carrier. These seats will have a harness system like an infant car seat, but also have a higher weight limit, enabling your child to sit rear-facing for longer. Most convertible seats will hold up to 65 pounds or more. Convertible car seat reviews focus on which seats are the safest and easiest to use at every stage of your child’s life. Since your child will likely ride in a convertible car seat until they’re in elementary school, you want the most durable, comfortable seat you can find. The best convertible car seats are those that easily grow with your child. They’ll withstand the wear and tear of everyday use while providing the maximum amount of convenience and protection. When your child is no longer within the weight and/or height limit for a front-facing car seat, it is time for a booster seat. Booster seats work with your car’s own restraint system. A properly fitted booster seat will lift your child up so that the shoulder and lap belts fit properly. Booster seats are more comfortable and allow more range of motion for a larger school-age child. There are two primary options for booster seats: high-back and backless. Backless models are generally easier to install, but high-back models provide more protection. Booster seat reviews compare the comfort, size, and protection of today’s popular models. Today’s best booster seats provide superior protection, allow plenty of legroom and are easy to transfer between vehicles. Car seat/stroller sets have become increasingly popular within the last few years. They are more efficient, especially for caregivers who are always on the go and have an active lifestyle. They can be used for quite a few years. They are heavier and bulkier than the traditional stroller or car seat. Depending on the type of stroller that comes with the travel system, it may allow you to attach an infant carrier, or work as jogging or double stroller. Travel system reviews focus on product weight, maneuverability, compatibility with infant carriers, and on-board accessories. Today’s best infant travel systems are safe, lightweight, easy to maneuver, compact when folded, and provide enough storage for travel necessities such as diaper bags and small items for both child and caregiver. Pay attention to all of the height and weight limits for a car seat/stroller combination, as they tend to be different from the traditional car seat measurements. Over half of the child seats in cars today are installed incorrectly or are the wrong car seat for the size and weight of the child. You don’t always have to spend a ton of money to get the best convertible or safest infant car seat with so many affordable options on the market. We recommend planning ahead so that you can pick out the right car seat for your child, your car, and your budget. Depending on your location, each country and state will have different car seat guidelines for installation, weight and height limits, etc. However, they all have some guidelines in common to help you determine when your child needs a different car seat. For instance, infants 12 months and under are always safest in a rear-facing car seat. Children 13 and under should always be in the back seat. Children (and you) should be buckled up every time they’re in the car. Each child grows differently, and you should make sure that your child meets the proper size measurements before moving onto the next seat. Our ratings and comparisons look at many different car seats and compare them based on a number of metrics. Remember that car seats are frequently updated, so there may be changes in specifications, however these should be noted on the official product pages. Be aware of product recalls as well. Before you buy, check to see if that specific model of car seat you’re considering is on a recall list. When looking at our car seat reviews, consider your family’s and child’s needs. Do you plan on having more children? 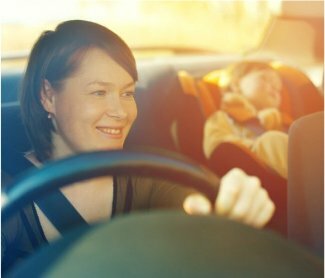 You’ll want a car seat that can be passed on to the younger sibling, such as a convertible car seat. Will you be transferring the seat between vehicles often? You’ll want a lightweight option with quick installation and a portable infant carrier (if you’re buying an infant car seat). Are you on a tight budget? You’ll want to focus on safety and durability over style. Do you have a small car? You’ll want a compact car seat to ensure plenty of legroom for the front seat passengers and enough room in the back seat for additional passengers. Note: This page will be updated as frequently as possible as product specifications are updated and new products emerge. The best car seats are typically those with the newest technologies and safety systems, but still come from time-tested brands you can trust. They’ve not only been fully vetted by parents, but have also gone through rigorous crash testing and studies. These reviews take a comprehensive look at each individual car seat, comparing them on safety, ease of use, comfort, style, size limits, and more. 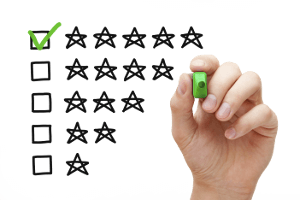 Our car seat reviews are completely objective, relying on statistics and real customer experiences. If you don’t need all the bells and whistles, you can easily find an affordable car seat. It may not have spill-proof fabric or integrated cup holders, but these budget car seats can keep your baby just as comfortable and safe as the more expensive models. Read the reviews thoroughly to make sure they aren’t cutting costs at the expense of safety. Most dogs love car rides and will jump from seat to seat to get the best window views. Most dog owners don’t think about buckling up their pets, but they’re just as susceptible to injury in a crash as you and your children are. Even if your dog is the more laid back sort, a dog car seat keeps them contained so they don’t damage your interior and keeps them safely restrained in the event of an accident. Since dogs aren’t shaped like humans, airbags and regular vehicle restraints can really hurt them. A dog car seat allows you to safely and comfortably transport your dog to the vet, the groomer, or across the country. This is especially important as your dog ages. There are various styles that work better for the many different dog breeds, from puppies and toy dogs to seniors and large breeds. If you travel often, an infant car seat cover is a must-have item. Babies can’t tell you when the sun is too warm or in their eyes. A sun-blocking infant car seat cover can shield them from the sun without trapping heat. Those made with thicker materials can make the seat warmer in the winter months, especially if you can’t warm your car up before putting your baby in it. They can keep both baby and seat safe from the elements. Infant seat covers can also help your child sleep for a longer time, making the drive much more enjoyable for everyone involved. When you aren’t in the car, an infant seat cover protects against the sun’s harsh rays and keeps dust and dirt from accumulating in the car seat. An infant car seat cover is a wise choice for a higher-end car seat so you can better protect your investment. The best deals on popular car seat brands! Some brands are more popular among parents than others, and these stand out from the crowd. These are trusted brands that deliver the best possible protection to your child because these manufacturers have decades of research to back their products. Some brands focus only on manufacturing quality car seats, while others provide a full spectrum of great baby products. By clicking on each brand, you can discover the most popular and highest rated car seats currently available. Go from trial by error to informed decision with our baby bike seat buying guide. It covers everything you need to know when buying a baby seat for your bike. What’s the difference between front and rear baby bike seats? Will it fit your bike? What’s the safest seat? Which features matter? What brands get the best reviews? Our guide answers those questions and more, providing key information, step-by-step instructions on the proper way to determine your bike’s compatibility, and users’ reviews. After all, finding a baby bike seat to fit your bicycle shouldn’t be a guessing game. Whether you’re a brand new parent or an experienced car seat buyer, visit our tips and tricks page to find recent recalls, specification changes, upgrades, and new accessories. If you have a question or a topic you want us to cover, feel free to contact us at any time. I work as a medical professional. While I haven’t been a mother my entire life, I have been babysitting since I was 13 and transporting children since I was 17. My three children are 8, 6, and 3 years old, thusI have gone through many kinds of car seats and cars. I’ve experienced my fair share of seats, both good and bad. I’ve witnessed the trends throughout the years that have come and gone.